An “after” photo of the kitchen project. 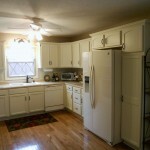 Antique White is a very popular choice and can have a dramatic impact on a dated kitchen! 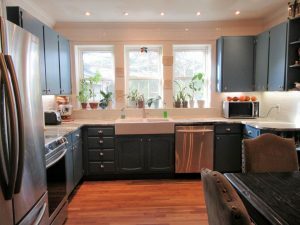 Photos of a recent kitchen project. 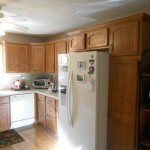 This client had the typically dated oak cabinets that are in so many homes. 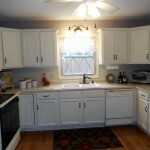 They chose antique white painted kitchen cabinets and the results are great (Before photos are also included). 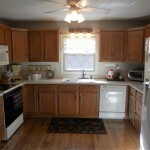 It brightened up the space and gave a fresh new look to the kitchen. 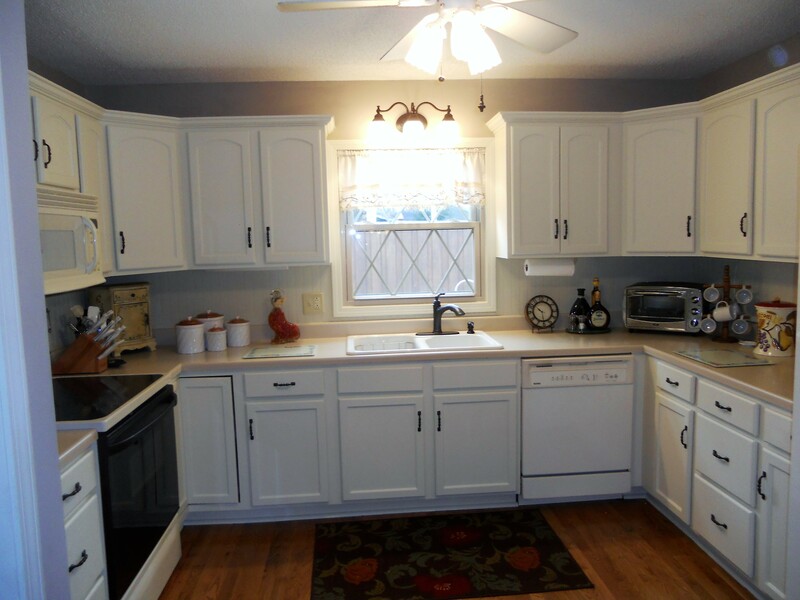 Message now or call (423)557-5097 to set up your free estimate and consultation. With this “before” photo you can easily see the drastic difference after the cabinets have been painted. 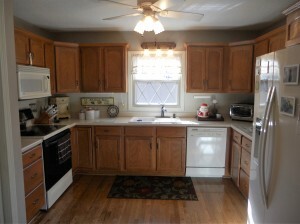 A “before” photo of the project. click for a larger view of the image. 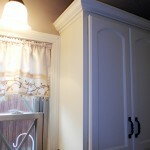 A close up view of the upper cabinets. Click on image for a larger view. Vintage Chic Painting is located in downtown Johnson City and serves most of the Tri Cities area. Estimates and consultations are free. 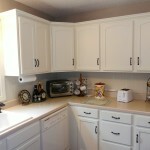 A wide range of finish options are available for cabinets and furniture. 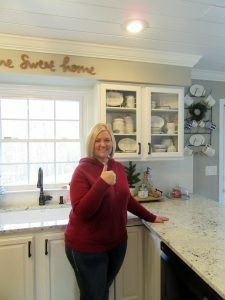 Whether you want antique white painted kitchen cabinets or have another idea for your kitchen, Vintage Chic can help you achieve the look to fit your style!